During normal refining processes, fuel oils may be mixed with other substances that change the physical properties of the oil. Though this makes it unsuitable for its intended use, Phoenix Oil can separate the usable fuel from other components to restore its functionality. Much like off-specification gasoline or other fuels oils, the refining process at fine fractionating plants will often leave some amount of solvents mixed with other substances. Phoenix can separate the undesirable material from the usable solvent and repurpose it for industrial use. 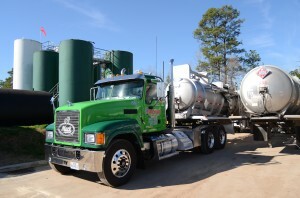 Transportation mixture (or trans-mix) is created when gasoline or other refined petrol products amalgamate while in transit. During the mixing process, these blends lose their specified physical properties and must be separated before they can be used properly. Also known as alkenes, these hydrocarbons are found in a variety of refined petroleum products and are useful in a number of applications. When separated from other substances, olefins can be used as fuel in many applications, or polymerized into a number of plastics. When crude oil is contaminated with water and solids, typically an emulsion will be formed, rendering the crude unsuitable for refining. Phoenix Oil is capable of breaking emulsions with its advanced technology, yielding a recovered crude oil suitable to be returned back to the market. Phoenix Oil can take in and repurpose a number of heavy fuels, including marine bunkers, vacuum tower bottoms, vacuum and pyrolysis gas oils, oily emulsions, food grade oils, or #6 fuel oil.